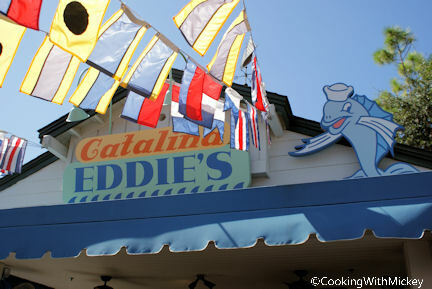 Located in the Sunset Ranch Market is Catalina Eddie's serving pizzas, salad and a hot Italian sandwich. Menu Items: Pepperoni and cheese pizza, Caesar salad and hot Italian deli sandwich. Desserts include chocolate fudge cake and carrot cake. Kids' options are limited to cheese pizza.